There is less than a year to go before the EU Falsified Medicines Directive (FMD) is implemented into UK law. FMD will start in all EU member states from February 9, 2019. This includes the UK, which will remain in the EU until March 29. From the date that FMD becomes law, all new packs of prescription medicines in Europe will have to bear two new safety features: an anti-tampering device (ATD), and a unique identifier (UI) in the form of a barcode, which will be registered on a database called the European Medicines Verification System (EMVS) (see below). In order to comply with the requirements, every community pharmacy in the UK will, at the time of supplying a prescription medicine to a patient, be required to check the ATD and scan the barcode. But a series of complex legislative issues, a large number of unresolved questions, and uncertainty over what will happen after Brexit, are hampering the sector’s preparations – and preventing pharmacists from putting steps in place to comply with the directive in good time. By the deadline, each pharmacy will need to acquire at least one barcode scanner, and potentially an extra workstation, to be able to ‘decommission’ medicines from the EMVS. In the decommissioning process, a medicine will need to be authenticated: have its UI scanned and verified against a UK safety database called the National Medicines Verification System, or NMVS, before it is handed to a patient). This is so a pharmacist can verify it is a genuine medicine, and not a counterfeit. To do this, new pharmacy software will be required, either as an update to existing patient medication record (PMR) systems, or as a standalone system. Standard operating procedures (SOPs) will also have to be updated, to incorporate the authentication scan into the current dispensing process, and of course, staff training will have to take place. As the regulation currently stands, community pharmacies will be responsible for meeting the costs of their own scanners, and of connecting to the NMVS – although a coalition of sector bodies, known as SecurMed UK (see below) and a company called Arvato – which is supplying the IT software – are expected to produce guidance for pharmacies later this year. But Raj Patel, chair of the UK FMD Working Group for Community Pharmacy – which is managing the rollout across the sector – and a board member of SecurMed UK, tells C+D many more details need to be ironed out before pharmacies will be able to properly prepare for the directive. “So far, there has not been very much progress at all,” Mr Patel, a community pharmacist, says. “The European database has been created and formed, but a whole host of things still need to be sorted out in the UK, such as the creation of our national database and the development of FMD-compliant software. 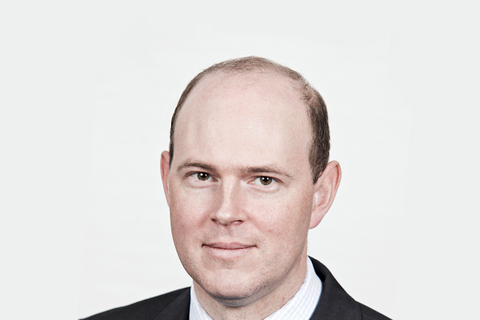 Gareth Jones, public affairs manager at the National Pharmacy Association (pictured below), says FMD compliance is going to be “a burden” for community pharmacies – and warns the task should not be underestimated. He points out that, as well as extra costs for equipment, contractors will also have to factor in additional labour costs. Martin Bennett, superintendent at Wicker Pharmacy in Sheffield, admits that when it comes to getting ready for FMD, he is not sure where to start – a view that is likely to be shared by other pharmacy owners in the UK. The Pharmaceutical Services Negotiating Committee (PSNC) tells C+D it will work to ensure that the sector's FMD-related costs are recognised in future pharmacy funding settlements. “We are currently starting to assess the costs involved, which include initial set-up, IT software and hardware, plus ongoing operational costs,” a spokesperson confirms. Which organisations will be overseeing FMD? The European Medicines Verification Organisation (EMVO) – a Belgian not-for-profit organisation that represents stakeholders in the medicines supply chain. 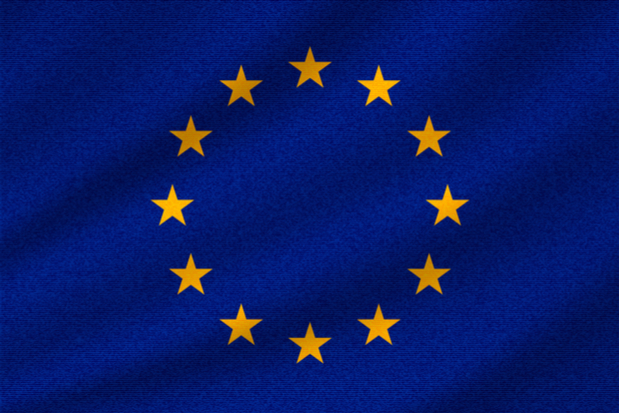 The European Medicines Verification System (EMVS) – a hub linking the different national medicines verification systems (NMVS) across Europe. SecurMed UK – the non-profit organisation that will manage the UK’s NMVS. It is an umbrella organisation made up of the National Pharmacy Association, Company Chemists' Association (CCA), British Generic Manufacturers' Association, the British Association of European Pharmaceutical Distributors, and the Healthcare Distribution Association. It is monitored by the Medicines and Healthcare products Regulatory Agency (MHRA) and the Department of Health and Social Care (DH). Arvato Systems – an IT specialist software company that has been appointed to build the NMVS in the UK, as well as for the EMVO. The UK FMD National Working Group – chaired by the NPA, with representation from the Association of Independent Multiples, the pharmacy funding negotiators for each UK country, and the CCA. The working group has been set up for community pharmacy to identify and solve the issues that are going to be challenging in implementing FMD. The MHRA and DH are also present at meetings of the working group, as observers. The FMD Implementation Advisory Board – has been created by the MHRA and DH, and brings together a wide range of stakeholders from across the medicines supply chain, as well as health professionals who supply medicines to the public – including community pharmacists. The FMD Working Group has recently published guidance, The way forward for FMD in community pharmacy, to help the sector in its preparations. Mr Jones says the group is working hard to ensure implementation is as easy as possible. But there are still a lot of unanswered questions which need to be addressed. One of them is the issue of split packs. According to the latest thinking, when pharmacists supply part of a pack, under FMD they will only be required to scan and check it the first time they dispense medicines from that pack, and not when the remainder is handed out. But this will require the development of a new system to enable packs that have been decommissioned to be identified from those that have not. It is understood this will also apply to monitored dosage systems, Mr Jones says. There are also data ownership concerns, he adds. The database that will support FMD will hold transactional information for every single incidence of dispensing, which is potentially highly sensitive, confidential data. This leaves community pharmacy with the additional responsibility of compliance with another EU law – the General Data Protection Regulation. “Part of the NPA’s reason for being a member of SecurMed is to ensure that this data is used appropriately,” Mr Jones says. The so-called ‘10-day rule’ will also be challenging for community pharmacy. Under the rules of the directive, once a product has been decommissioned, there is a 10-day period during which the process can be reversed. However, if a patient fails to pick up their medication within that period it will no longer be able to be supplied, potentially leading to enormous medicines wastage – something the NHS can ill-afford. “There is no solution to this yet, but we are working through some ideas with the DH and the MHRA,” Mr Jones explains. Hub-and-spoke dispensing also raises “significant challenges” for FMD, Mr Jones points out. In 2015, the DH justified its 12% cut to pharmacy funding in England by claiming that hub-and-spoke dispensing would make community pharmacy more efficient. This also raises the issue of exactly when the checks have to be carried out. Technically, and according to the directive, it must take place in front of the patient – which may prove impractical, and potentially raise patient confidentiality issues. Again, Mr Jones confirms that other options are being explored – but no solutions have yet been reached. Another option, which would be useful when patients are collecting lots of different prescriptions, is to create labels for bags which bear aggregated barcodes, at the point of assembly. In this scenario, the pharmacist would scan the bag’s barcode, which would simultaneously decommission all the packs in that bag. “That would be a far more pragmatic way to deal with this – and we hope that will be the one we are allowed to work with,” Mr Jones says. Other issues, including the problem of temporary system failures – the NMVS is web-based, and could fall victim to the kinds of service outages that have hit the sector's other IT system suppliers – and issues such as products failing to authenticate, also need to be addressed. But many of the answers may lie with government bodies, the DH and the MHRA, who are responsible for implementing the legislation. Brexit is another problematic piece of the FMD puzzle: the UK will leave the EU just seven weeks after FMD will be implemented into law. By that time, very few packs bearing the new safety features are likely to have reached UK community pharmacies, because the UK medicines supply chain takes generally two to three months from manufacture to dispensing – with some medicines taking years to reach pharmacies. The UK government has said that whatever happens post-Brexit, there will definitely be some sort of localised FMD system which will have to be implemented in the UK. How will FMD be enforced? It is unclear how the legislation will be enforced, and what penalties will be imposed on pharmacies that fail to comply. 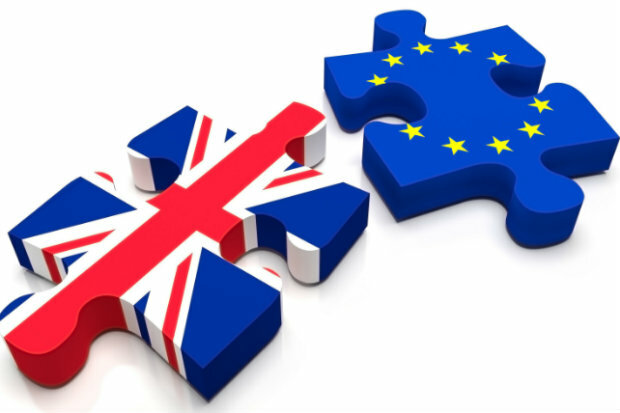 In May, the MHRA will publish a 12-week consultation which will focus on sanctions and enforcement, as well as where the UK has legal scope to make changes to the EU’s terms. It’s crucial that the sector does not underestimate the scale of the task, either. Has Brexit derailed plans for scanners in every pharmacy? Are you ready for FMD? If you can afford the cost of the equipment and staffing cost for extraprocess you will be truly wealthy as the rest of the contractor will be bankrupt half way through implementation. GP s moan thay get 2% rise and better contracts we pay for it with a 12% funding cut. Who can produce a method to prove this and stop it. FMDA is not required but if wanted must be paid for in full by NHS/MHRA and ongoing time costs paid for. I think this is one we can legally refuse to comply with unlike supplying medicines at a loss and our societies should learn to get involved in the financial arguments and support us. I have spent a long time recently trying to find an economic combined QR scanner and printer. The NPA gave me a few pointers, but no results. Can I quote: "The so-called ‘10-day rule’ will also be challenging for community pharmacy. Under the rules of the directive, once a product has been decommissioned, there is a 10-day period during which the process can be reversed. 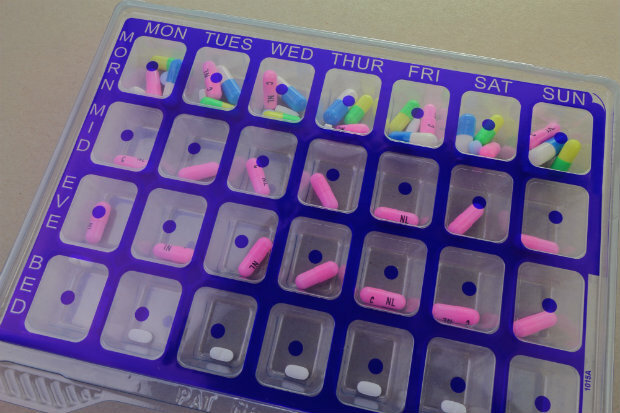 However, if a patient fails to pick up their medication within that period it will no longer be able to be supplied, potentially leading to enormous medicines wastage – something the NHS can ill-afford". It won't be the NHS that pays. It will be us! Happy to support anyone who’s struggling to get compliant. I’m not sure I’m allowed to publish website details on here though?? My question to you is, where in the directive it mentions that checks must take place in front of the patient? I'd be interested to hear from you Gareth Dunsmore - maybe post your details, see what happens..? Paul. Email me on [email protected] We have solutions in place. We are all facing the same issues because there was, once upon a time, some counterfeit omeprazole found in Germany. The cost to community and hospital pharmacies is truly epic. This really became a runaway juggernaut because some manufacturers were worried about the potential of counterfeit PDE5 inhibitors. Then they went generic. Cui buono? "Once a product has been decommissioned, there is a 10-day period during which the process can be reversed. However, if a patient fails to pick up their medication within that period it will no longer be able to be supplied." "When the pack is supplied to the public, or is distributed outside the Union...the unique identifier on that pack should be decommissioned "
The way I read that is that distributed outside the Union, of which would include the UK will be considered a Third Country after a month of the implementation of FMD - every medicine that is imported into the country will have had it's Unique Identifier already decommissioned. Would the facility of FMD then be considered a nongermane exercise, at the very least within the UK? It seems i'm the only one looking forward to this..the benefit will be patient saftey..and not about counterfiet meds....simply....scan a Rx (wales), accept electronic one (England)..there is now in your PMR an electronic Rx....scan the drugs..electronic record of drug..PMR will check Rx and drug are same...increased saftey! You are confusing two different things. The code on the prescription has nothing to do with the code on the medicine box. As I understand it, single line bar code scanners that pharmacies already have will not work with the FMD barcodes. They need to be the 2D ones like Amazon use. I might say that again. Like the ones Amazon use. I does not work like that, accept an electronic script for aspirin, dispense, scan the aspirin box, then you get told you have picked the wrong product because you are labeling from TEVA and dispensing ACTIVAS etc. If you are buying the cheapest generic it does not work like you say. If you are not buying the cheapest generics you are nearly banckrupt any way. I predict the PMR suppliers finding a solution with a sky high price. We have a cost effective solution in stores... testing NOW. I will contact C&D to seek permission to publish if the wider community feels this is of interest? I will return with details if I’m granted permission. It would appear that we work for idiots and are represented by idiots if they think that lot of rubbish is a good idea. It will sovle nothing, bring no benifits to patients and will cost us a fortune that will make the recents cuts look tame. If my chum Martin Bennett doesn't know where to start implementing FMD, then we are all doomed!! The multiples will find a way around this. Probably say it contravenes patient confidentiality and safety. Why, why,why are we having to do this??? What will it achieve other than compromising patient safety by further distracting us from what's supposed to be our primary role of supplying medicine safely and efficiently? I've asked the PSNC & NPA to provide even one fully authenticated and proven case of counterfeit medication reaching the bricks & mortar pharmacy supply chain. Not one case. I asked theDoH but seeing as they don't even know we exist I didn't receive a response. There are cases of counterfeits via the internet from non UK authorised sources but this measure will do absoultely nothing to stop that! This is a massive onerous highly dangerous sledgehammer to crack a non-existent nut! Time for unity (haha!) we should refuse to engage with this process at least until fully funded- so that won't happen- and then re-examine after Brexit to see whether there is any benefit to the UK.